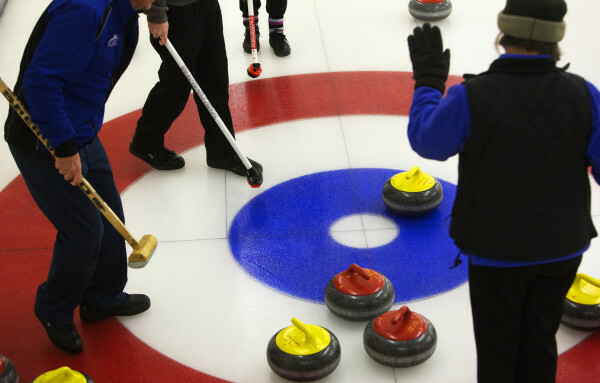 Belfast Curling Club members sweep the ice to help curl their rock during a league game at the Belfast Curling Club in Belfast on Dec. 4, 2014. 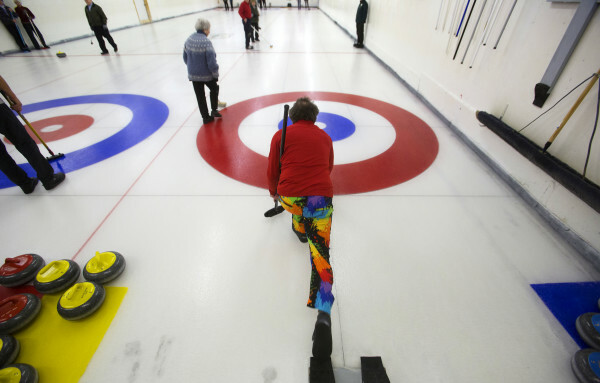 A Belfast Curling Club member releases their rock into play during a league game at the Belfast Curling Club in Belfast on Dec. 4, 2014. Belfast Curling Club members count their points during a league game at the Belfast Curling Club in Belfast on Dec. 4, 2014. 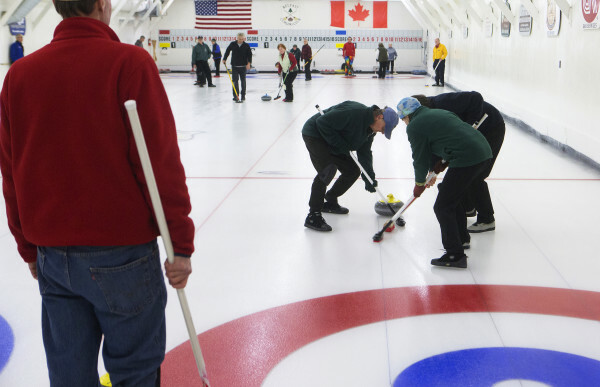 BELFAST, Maine — For decades now, people have come to the Belfast Curling Club from all over to carefully push granite stones down the ice and enjoy a tradition of camaraderie that never gets old, according to club members. But the ice-making equipment — which dates to 1959 — has. That’s why the 165 or so club members are working to raise $300,000 to replace it with a new refrigeration system. 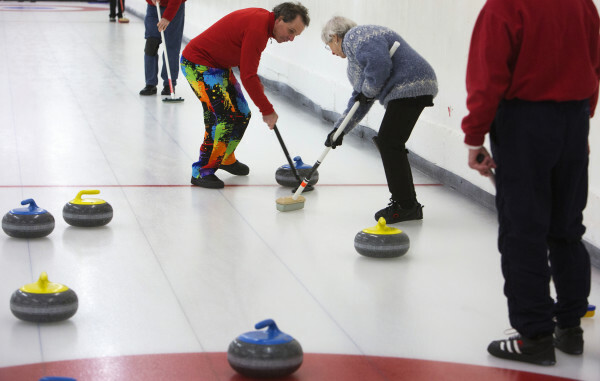 While the amount seems as large as a glacier, Jamie Oates, who has been curling there since 1990, believes that it can be raised. The game of curling began in 16th century Scotland, and made its way to Belfast in the 1950s, brought there by a doctor who loved the game. The Belfast Curling Club has livened up the long winters ever since, even before the game found new fans in 1998 when it became a Winter Olympics sport at the Nagano, Japan, games. Now, people come from far-flung communities including Lamoine, Augusta and Bath to practice and play. Weekend bonspiels, or tournaments, attract teams from all over Canada and New England. And until a club started in Portland recently, the Belfast Curling Club was the only place in the state a person could play. He said that in curling, it is critical that the ice be smooth and groomed well. Players push 40-pound granite stones on the ice and use brooms to help sweep the ice in front of the stones to adjust their speed and steer them to the correct spot. A piece of debris as small as a hair can throw the stones off their route, Oates said, adding that the ice is carefully built up in thin layers over a bottom layer of sand. 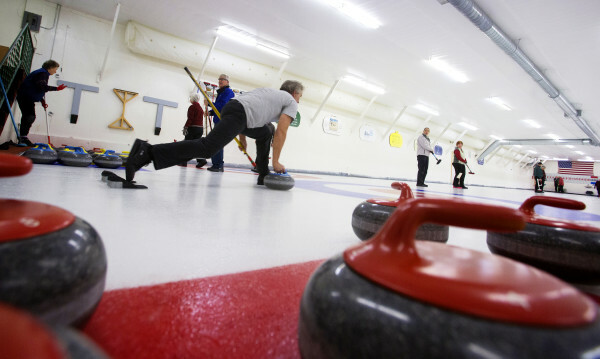 He expects the Belfast Curling Club to hold fundraising events through the summer and fall. The season begins the first week in November. For more information about the Belfast Curling Club or the fundraising campaign, please call 338-9851 or visit the website www.belfastcurlingclub.org.